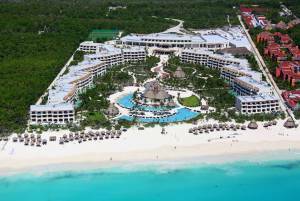 This luxury Cancun resort is located just 15 minutes from the Cancun International Airport. The resort boasts six international restaurants, seven bars, three oceanfront pools, a children's pool, spa and fitness center. Suites are situated in a mangrove preserve. Guests can plan an excursion to nearby Playa del Carmen or take a further trip to the archeological site at Tulum or the freshwater lagoons at Xel-Ha. The resort offers unique classes such as cooking, sushi making, wine tasting, candle making, painting and dance. 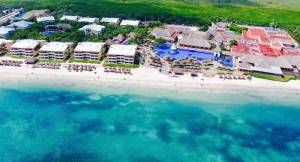 The Maroma Beach Riviera sits on the secluded white sands of Maroma Beach. The Travel Channel has voted Maroma Beach as the World's Best Beach for four years. This all-inclusive adult playground combines luxury, comfort and fun in one tidy package. Along with lavish suites, the resort offers six gourmet restaurants, state-of-the-art fitness center and expansive infinity pool, complete with swim-up bar.